How to apply business M visa to China? [ Important Notice ] Our services including translation, China visa policy consulting, China immigration plan arrangement, document preparation & submission, accompany & delivery service etc which are all legalized. If you would like, you can also check all the government service from Entry Exit Bureau. if you choose to handle it directly with the government office by yourself, you only need to pay the government fee. 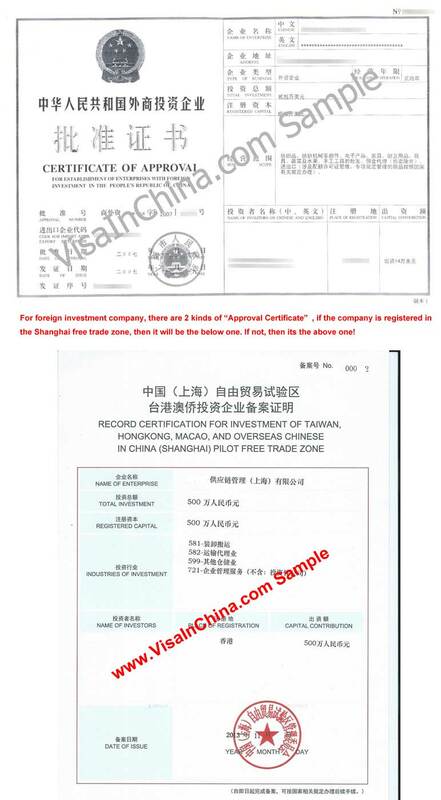 And we are a private consulting company legally registered in China since 2001, we are not the government branch, not affiliated with the government. But because of our abundant experience, with our help, your China visa application success probability is much higher. We charge extra service/consulting fee besides government fee to keep our company running and our website updating. China Work Visa (also called Z visa or residence permit now) is issued to an alien who comes to China for a post or employment, commercial performance or academic exchanges. Shanghai as an experimental unit, will start the new “Work Permit” policy from 1st April 2017. According to new policy, the old “Alien Employment Permit” and old “Foreign Expert Certificate” will combine to one named “Foreigner’s Work Permit” (FWP). The foreign expert bureau will take charge of it. Which class (A or B1, B2, B3, B4, C1, C2?) you belong to? Which type of China visa do you have it now or you are still outside of China? When your current visa expires if you are inside of China already? Our consultant will email you back the checklist for your situation. If your current visa is longer enough (as our experience, still valid over 30 days after you submit all the documents to us) to wait for your FWP to be approved, then you are allowed to change your L or M visas into Z visa/residence permit in China without leaving. You can check other visa services at right side menu. 5. Original reference letter from any foreign company to prove you have 2 years full-time working experience (after graduated) in your current industry and position. Notice3: If you are the shareholder of the company (legally registered in the business license as a shareholder), and your company paying the tax and Chinese employee’s social insurance legally on time. Then even if you don’t have Bachelor degree or 2 years working experience or you are over 60 years old, you still can obtain the work permit and work visa will less paperwork. Please check with us if you are in this situation. 1) According to the local shanghai immigration policy, For the first time when you apply the Residence permit, you have to show up (the second time no need to show up) in the government to take a digital picture, they need to confirm you are the same person of the passport holder then the officer will accept your visa application. For more details about first time 1 year working visa application, time frame, procedure, and policies, Please Check HERE! Notice 1: 2-years application is not 100% guarantee (according to our experience, it's about 90% success rate), you need to show up together with us at the immigration office when you first time apply the 2 years visa. During the processing, the immigration officer might call or go to your company, check all your behavior in China and then make the final decision, if the government denies your application (according to the law, they can deny it without any reason), you will get 1 year residence permit automatically, and we will charge the 1 year fee then. Notice 2: Even you got the 2-years residence permit, if you switch job, you need to give up your current 2-years residence permit and re-apply a new working permit and new residence permit through the new company, If you don't do that, it will be counted as illegal employment and you will face a huge penalty. 4. 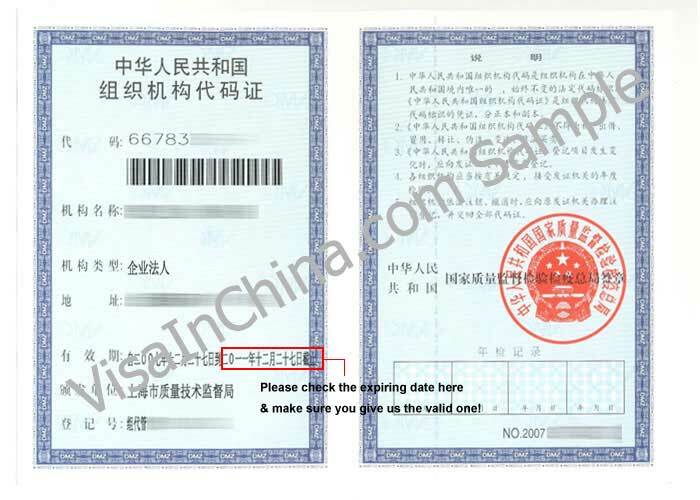 If above diploma is not issued in China, then an extra authenticated copy of your diploma is necessary [ Check the procedure and sample here ] - VisaInChina can get you 3 month grace period to prepare this if you apply with VisaInChina within 20 days after your termination date. 5. 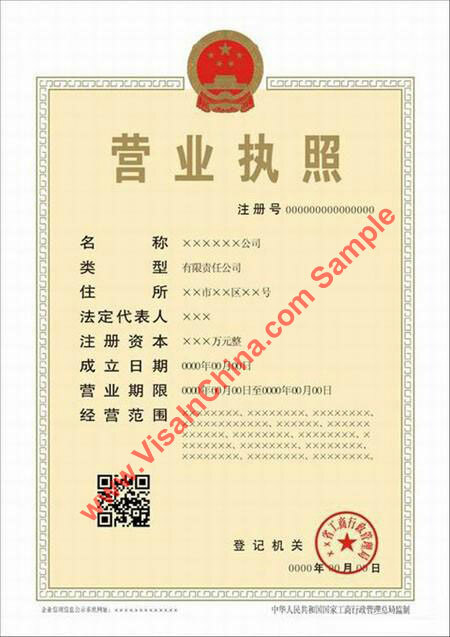 Original official police clearance certificate (PCC) from your home country [ Check the procedure and sample here ] - It can be avoid if you apply with VisaInChina within 20 days after your termination date. Notice 1: If Company A and Company B is not in the same industry (for example, Company A is consulting company and company B is restaurant), then the application failure rate will be higher. Notice 2: According to the immigration regulation, after we submit your new Foreigner’s Work Permit (FWP) (with employer B), you need to give up your former residence permit of employer A and change it to a 1 month 0 entry M visa immediately to avoid the illegal employment. From 1st July 2015, Taiwanese can enter mainland China with visa free, they just need to carry the valid TaiBaoZheng (in English: Mainland Travel Permit for Taiwan residents - MTP). More details of visa free policy for Taiwan residents: Please click here to download the Q&A! From 1st Sept 2018, Taiwanese no need to apply the China work permit anymore, company can hire taiwanese same as local Chinese. From 1st July 2015, if HK and Macau citizen want to work in mainland China, they only need to apply the working permit, and they don't need to apply the residence permit (small green booklet) anymore. From 1st Sept 2018, HK and Macau citizen no need to apply the China work permit anymore, company can hire HK and Macau citizen same as local Chinese. Because of the new policy was just implemented, inquiries increase a lot. Please communicate with us by email. we will reply you in detail and in time. First time consulting: Please email to us, walk-in directly is not acceptable. In the process of document submission: Better use SF express to deliver it to us instead of come in person, we need more time to check your case to make sure it will go smoothly. Any unavoidable visit: Please make an appointment with us in advance. Meshing Consultancy Services Co., Ltd.